The Roads Department is responsible for road maintenance operations throughout the Township. The department undertakes preventative and safety related activities to ensure the safe and efficient movement of traffic and pedestrians. In total the Roads Department maintains approximately 483km of roads within the Township boundaries. Of those 483km, approximately 250km are gravel, 85km are hotmix and 148km are paved. In addition, the department manages and maintains 52 bridges and large culvert structures. The Roads Department also conducts preventative maintenance activities that protect the life the Township′s infrastructure. These activities include asphalt patching, gravel resurfacing and sidewalk repair. The Road Department also reviews road entrance applications and issues permits once approved. The main administrative duties are handled at the Township Municipal Office. There are two depots, one located in the former Sullivan Township and the other in the former Holland Township. The Roads Department is responsible for winter maintenance on municipal roads and sidewalks. Crews work diligently to clear snow and ice quickly, in accordance with the Minimum Maintenance Standards for Municipal Highways, O. Reg. 239/02. County roads are the responsibility of Grey County and are named numerically (Grey Road 40, Grey Road 3, etc). Questions related to Grey County roads should be directed to 519-376-7337. Highway 10 and Highway 6 are Provincial roads and are the responsibility of the Ministry of Transportation. Questions can be directed to the Owen Sound office at 519-376-7350. Half Load Restriction season typically starts annually March 1st and continues until April 30th each year. Depending on existing and forecasted environmental conditions and the existing condition of the road network the half load season may be extended if deemed necessary. Municipal roads are susceptible to damage and can be compromised by the negative impacts caused by heavy vehicle loads during the spring thaw and the associated rainy season. A municipal drain is a drainage system that carries water through ditches or closed systems, such as pipes or titles buried in the ground to a natural water system.  The Township of Chatsworth is responsible for maintaining municipal drains under the Drainage Act. If your land requires maintenance on a municipal drain please call the Public Works department 519-794-3232.